i use this mobile i dont know how get pic in second camera? 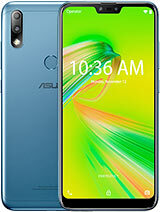 Why Asus is still sticking with those old 65k colors,when Nokia and other brands are using 16m colors screen? the asus p835 which i bought from noida, india. also has the same problem of defected touchscreen, it has been replased two(2) times already. 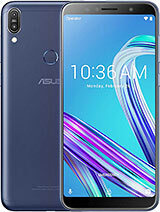 it should be corrected by asus or should replace the handset by another model. I Bought this phone in July'09 and suffering since then i already got complete replacement twice and over that touch screen has been changed thrice. No resale value for this unit and Asus is not at all cooperative in terms of service and customer satisfaction. 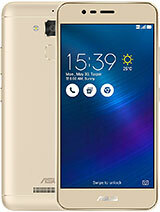 My phone lies with service centre for weeks together and Asus do nothing to upgrade it also. In Short not a good choice to buy though how lucrative the features are. 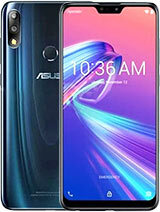 I beleive Asus should be the last choice to rely upon. I need a battery cover for my asus p835. If anybody has one for sale, or a non-working phone, please let me know! rohit, 24 Apr 2010Hi All, I have bought this phone is april 2009 after that I have upgraded its rom to WM 6.5... moreHi. 1. At reboot I get message "file shdesk can not be opened. Either it is not signed with a trusted certificate or one of its components can not be found. If the problem persists, try reinstalling or restoring this file". 2. While clicking opera Browser it gives message "file OperaL can not be opened. Either it is not signed with a trusted certificate or one of its components can not be found. If the problem persists, try reinstalling or restoring this file". I tried to get the solution from different websites, but failed. Although I have installed Opera Mobile 10 on my devise but I am not sure what is the diff. in Opera Browser and Opera Mobile 10. Can anybody suggest me what should I do to fix above problems. Is windows re-installation is the solution? If yes, where I can get windows re-installed in India. Battery performance is also on lower side. in one charge max back I get is 8 hrs with moderate use, but mail IDs and other applications keep running. Any idea how to increase battery back up. Somebody from ASUS service center told me that software updrage may be a solution. Does anybody has this experience? I have bought this phone is april 2009 after that I have upgraded its rom to WM 6.5, I have been using it mainly as gps navigation device which means whenever I use it the screen is on for atleast 4 -5 hours. Battery is weak but with kind of display it offers it seems okay. Everyone seems to be complaining about some touch screen issue ????? I have not yet experienced any till date, this is may be because of the Windows Mobile 6.5 there could have been some problem with WM 6 which was kind of win98 and may not have the capability to handle such high resolution on the touch stuff. sometimes the phone hangs :) nothing new if anyone have ever used anything from micorsoft ;) everything from microsoft crashes, hangs which is part of life. 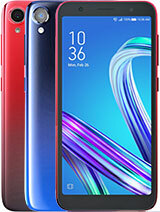 Overall I have no issues with the phone the features given on the phone is unmatched except for a 3.5" headphone socket and may be a fm radio but who cares it has good blue tooth and stereo blue tooth headphones are available for dirt cheap prices. Bought one in Aug 2009, Touch screen messed up in Dec 2009, Got replaced with a new one in March 2010. Overall - Not recommended. Promar complaint - Slow, bad video performance, low on available memory. phone is ok, though, not great. Customer service at Asus is the worst. Will not buy. JJ, 04 Nov 2009Hi, I'm planning to buy an ASUS P835 in India. 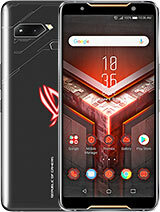 I am really looking for user opinions / expe... moreif anyone is planning to buy ASUS please do no buy. it is a good phone - but that is all. the signal is low, the battery drains fast, the phone hangs, i bought p525 and had to keep it because no one is willing to buy even at half price. there are better phones in the market. Sandeep, 03 Jan 2010Hi I bought this phone in September and since then I have been using this though i had to s... moreHi.. I bought this phone in September and since then I have been using this though i had to send it to service center because of touch screen issue however since I installed winmo 6.5 on it its been working fine in terms of performance. I wont say that it is the best phone in its segment but then its kind of ok ok.
and yes the battery drains so fast but then that's a normal thing with all the windows phones running WVGA resolution. Total of 93 user reviews and opinions for Asus P835.